It’s common for marketers to exaggerate the importance of their brands in consumers’ lives. Brand positioning statements are often written as if consumers constantly think and obsess about the brand. 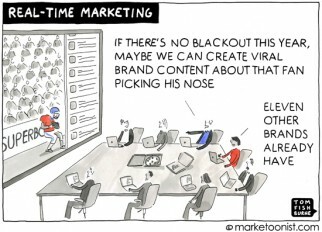 Social media from brands can make it sound like every consumer is a cult follower. In reality, even “brand loyalists” have complex lives completely separate from our brands. Brands can play important roles, but we should be careful not to overstate how much consumers give thought to our brands. One of the most emotional brands I ever worked on was Cheerios. Parents would recount, sometimes with tears in their eyes, the first time their children could pick up and eat a Cheerio with their own fingers. That “first finger food moment” became (rightfully) a cornerstone of the Cheerios brand, and that “nurturing” insight underscored everything from literacy promotions to heart health packaging. But Cheerios wasn’t the star of that moment. It was a supporting character. The Cheerios brand didn’t cause that moment for these parents. It had the privilege of sharing it. Brand loyalists are loyal to a brand only as long as a brand complements their own life and priorities. As marketers, it’s important to remember to keep our brands in perspective. 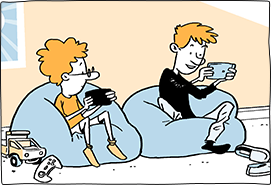 I first drew a version of this cartoon in 2007. A lot of people have told me that it’s one of their favorites, and it’s still one of the most licensed and syndicated cartoons from the last 12 years. I decided to redraw it to make it a little easier to read, and because my drawing style has evolved. Here’s the original. Tom, another great cartoon. Thank you! Perhaps, one way to think about this: Brands are most successful, memorable and relevant when they are attached to one of the things that already take up a lot of room in our minds! How do brands solve a problem or enhance a current situation for the consumer. To me, loyalty is the most over-used (and wrongly used) word in marketing. If I’m thirsty, and I go to the shop to buy a bottle of Fanta, but they don’t have any – I’ll probably pick up a Coca Cola instead. Some marketeers would count that as loyalty… the intent was there, and if physical availability had allowed – I’d have picked it up. I’m a loyal customer. But what if you applied that logic to a relationship? I pop over to my girlfriends house to take her on a date, but she’s still in the shower – so I take her housemate instead. I’d probably get accused of being disloyal. Plus – if you’re from Byron Sharp’s school of thought -loyalty metrics are simply a parallel to market share in a category anyway. So targeting ‘loyal’ fans (or heavy users say) doesn’t make sense anyway. 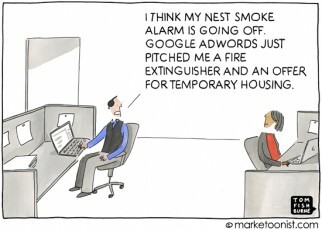 But brands should in fact be employing mass-marketing campaigns to target the broad range of light users, statistically the majority of a brand’s customers (or even, heaven forbid, non-users) rather than narrowly targeting the heavy user minority who will purchase from the brand anyway. Your customers will never get excite about what you do, they will only ever be excited about what you do does for them. Besides Cheerios, Pampers has done a great job going beyond the functional benefits to showing how a baby that sleeps through the night due to a dry dyper is a fantastic benefit for the parents. Thanks for this one, excellent, as always. I work primarily in B2B marketing communications, and it reminds me of a saying that I like to use when giving a presentation about B2B advertising: “Business products are bought, not sold.” In other words, the customer is in control of the transaction; they will assess, on their own terms, whether the product is right or wrong for them. When you acknowledge that sentiment in your communications, your audience is that much more receptive to your message. Yes brands cannot be seen isolated from the whole. Indeed many relevant questions to ask if we are serious about brands. What role does the brand play in the many different and important aspects of consumer’s life? What kind of experiences do the consumers get with your brand? What are the important criteria they use when they select and make their choices? What are the important needs? Again we need to remember that consumers are different and the brand may have come to play in different patterns. 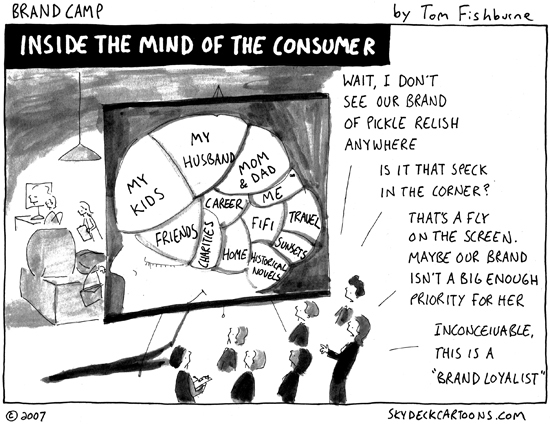 As illustrated by the seven years between the two cartoons we need a long term perspective if we really want to understand the interaction between brand and consumer and it is a dynamic field too. Good luck. Brilliant! Anything else I tried to add wouldn’t be as insightful. Thanks for reminding us of this important truth. Spot on, Tom! The truth can hurt. But sometimes it can open the mind to understand and accept. Once something is understood and accepted, you can begin to deal with reality rather than fantasy. 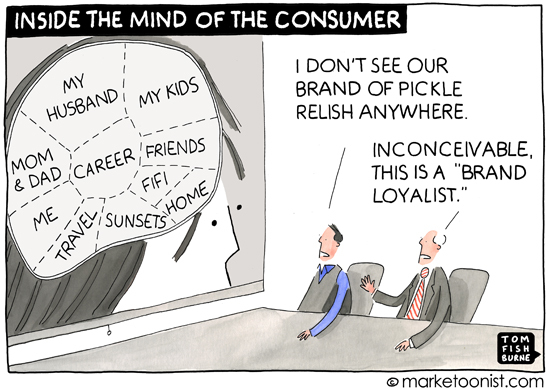 Meanwhile, it would be fun to see “Inside The Mind of The Marketer.” Big parts may well be “my career”, “my bonus”, “my brand”, “my company”, ” my perks”, and “my stock.” Missing will be “my consumer.” Then comes the most fun part — How will the consumers respond to that? Great cartoon and great truth. I like John’ comment of flipping it around and looking at a snapshot of the marketer’s mind. Perspective is everything. 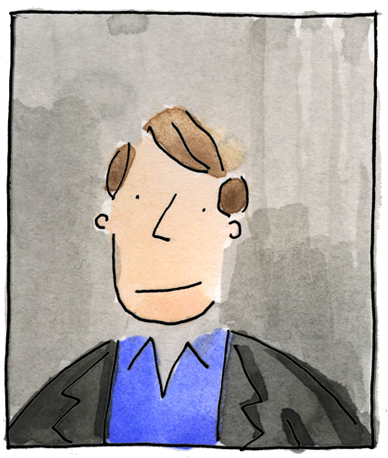 Tom, I’m in a Master’s program and for the past two semesters we have been focusing on brands. Thanks for bringing the reality and the funny to these concepts. 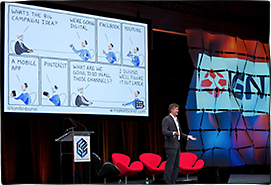 I’ve used your cartoons in my class presentations (Gee, I hope that’s legal, it it’s not, it never happened!) 🙂 to other students when my words cannot articulate. Thanks for the peek behind the curtain into the serious silliness and minds of those who fret over brands. If only marketers would remember that in real life they themselves are customers, then they might discover a better and less jargon-strewn insight into the reality of that mindset. “Brands can play important roles, but we should be careful not to overstate how much consumers give thought to our brands.” <– Yes! An insurance salesperson called last week, after my business banker suggested he get in touch. I thanked him for calling but told him I didn't need his help — and in fact, I was already speaking with a colleague from his company. He asked the colleague's name and I couldn't remember. In his email followup, the insurance salesperson wrote, "I assume since you don't know the person's name at [company name] you mentioned that it is not a very good relationship," and he tried to poach my account. No, I couldn't remember their name because you interrupted me while I was in the middle of something else… and because I don't really care about the name of the person from whom I'm maybe buying long term disability insurance. And now I just have a lesser impression of your company's brand. More positively, this negative experience helped me rethink my own marketing and sales efforts as a consultant. We can all do better! Love this cartoon. So accurate. It’s not about how customers fit into our marketing plans, but rather about how we fit into their lives. We always tend to think of our consumers as those who do not have a life outside of our products or services. The game is all about being in front of the potential client at the right time, i.e., when they need our services. Now, she and I both shop at Whole Foods. In fact, I rarely will shop anywhere else for reasons I’m not going to go into here.